for the most reliable and timely information in the industry. 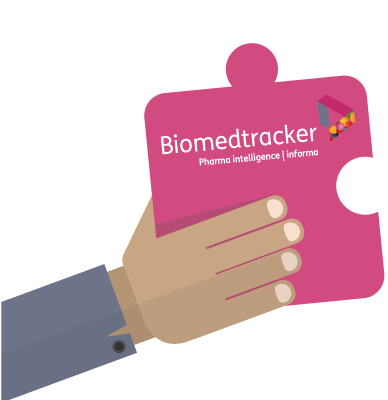 Biomedtracker is your go-to drug development pipeline tool that tracks key current and future events in real-time to ensure you stay up to date on all activity involved with every drug, company and indication area you are monitoring. Biomedtracker’s unique Likelihood of Approval (LOA) metric serves as a strong benchmark to allow you to assess the impact of key industry events. 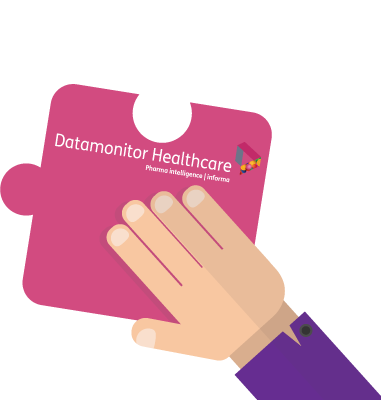 Datamonitor Healthcare is a deep-dive data intelligence and analysis service for the global pharmaceutical industry, providing comprehensive coverage of major disease areas, companies, and strategic issues, giving you the perspective to identify opportunities and threats arising from shifting market dynamics. 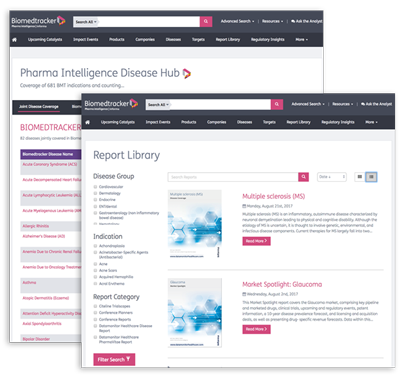 Informa Pharma Intelligence has now enabled seamless connectivity between Biomedtracker and Datamonitor Healthcare creating a powerful tool that simplifies workflows and allows you to get critical information more quickly and easily than ever before. Seamless linking from Biomedtracker to Datamonitor Healthcare for deeper-dive disease overviews, forecasts, treatments, epidemiology, pricing & reimbursement, and more. 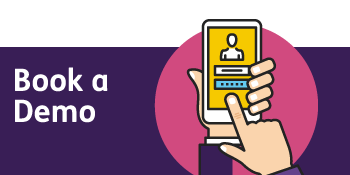 Book a personalised demonstration of Biomedtracker and Datamonitor Healthcare to find out how this combined solution can support your commercial business needs. 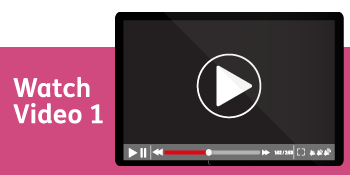 Find out more about the Informa Pharma Intelligence New Commercial Solution for the Pharmaceutical Commercial sector from this short video. 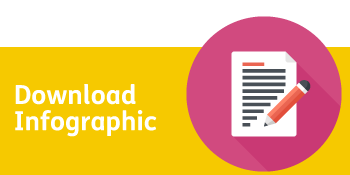 Find out how the combined power of Biomedtracker and Datamonitor provides an essential tool for the commercial sector by downloading this Infographic.